The Twitter Engagement App is available at the Standard Plan and above. This app allows Facebook page admins to create a tab displaying current tweets from any twitter account. Options for display include the "follow" button, "@ reply" button, and ability to customize the number of tweets displayed, text and background colors, and more. This app gives Facebook pages a great way to display tweets on a Facebook tab to encourage follows and interaction with a Twitter account while on the fan page. Step 1: Go into the Manager section and select the App Add tab. Step 2: Scroll the page in a downward manner and stop at the Social Apps section. Find the Twitter App and press the "Add+" button to start creating your app. Step 3: Upon clicking the Add+ button, you will be directed to the first setting page of the Twitter App called App Builder. In this section, you will need to enter your Twitter username in a blank field beside the Twitter Name option. Then, click the Authenticate button to connect your account to the app. In this way, your tweets can be displayed on your Facebook tab or a web page/blog. You can also modify the other additional options such as displaying the Follow and Tweet @ buttons, adjust the number of displayed posts and a title. Step 4: In the Facebook Settings page, you can put a Twitter tab to your Facebook fan page. You'll just have to enter your fan page, desired name of your tab, Twitter logo (111 x 74 pixel photo is recommended) and lastly, an icon for your tab. Step 5: The primary purpose of the Promotion Tools is to prepare your app for social sharing. It is made up of four sub-settings specifically Social Sharing Options, Blog/Web Callout Tool, Post Planning and Comment System. 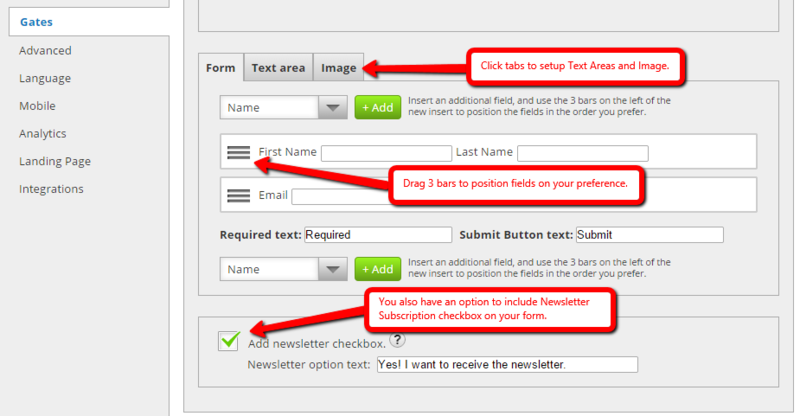 The first sub-setting under the section of Promotion Tools is the Social Sharing Options. You are able to customize your app to connect to the social media sites listed here. These sites consist of Facebook, Twitter, Google+ and Pinterest. You can select the placement of the app to these sites, the choices are top, bottom or both. Being the Administrator of this page, you are the one in control of the activities of the social networks. You can enable the Like and Share function of Facebook, pre-populate the tweets of Twitter, the +1 function of Google+ and the Pin it of Pinterest. 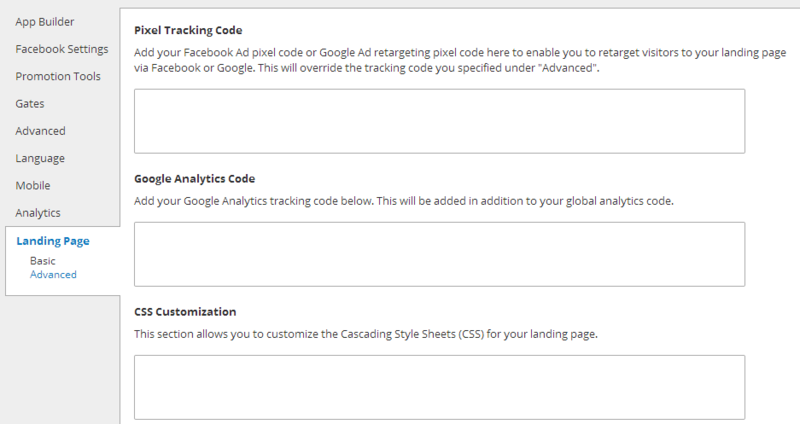 Step 6: A promotional call-out is an effective tool to drive additional traffic to your site. The Blog/Web Call-out Tool first works by requesting you to upload an image, then, it will automatically produce a code which you can embed to your blog, website or elsewhere you want to place it. When visitors tick it, they will be forwarded to your Facebook tab. Step 7: Schedule your posts with the use of either one of these scheduling services: Buffer, Sendible and Hootsuite. When posting to Facebook, Twitter, Google+, Pinterest and many more social networks, you are able to save time and effort using these tools. Prior to choosing one of these services, it is recommended to initially save your page. The SMART URL is the type of URL we utilize in posting due to its mobile and PC friendly nature. It directs to your created Facebook tab -- including mobile users. Step 8: The fourth sub-setting for the Promotion Tools is the Comment System. It can only reveal the other options when it's check box is ticked. These options are the "Allow visitors to sign-in to comment via Facebook or Form", "Comment Notification Emails" and "Require Comment Approval." Just like what its name suggests, the gray button below lets you manage the comments. Step 9: Form Gate is a simple form that users must complete and submit in order to access your app content. Step 10: The Advanced Setting allows you to put a 810 x 75px header image, adjust your link color, text color, background color and cell color. Additionally, you can also customize CSS to your app with default styles related to it if you would like to. Step 11: The next setting is Language. The two sub-categories it is made up of are General and Comment System. The General Sub-setting enables to modify the text for your app which will suit your needs. The section encompasses two drop-down menus namely "Like button language" and "Tweet button language" where you can choose from the list your preferred Language for your app. You can also edit the text that will appear for your Share button. Step 12: The sub-setting is composed of the "Comment System Language Settings" and "Errors" that let you edit your text for the comment system suited to your chosen language and needs. Modify the fields with your preference and save them later. Step 13: The Mobile setting comprises two Global Options specifically "Render desktop version on mobile" and "Use like gate on mobile devices." These sub-settings can be answered by either yes or no and accessible to mobile users in a type of mobile-responsive substitute version or show your gate image. Remember that Mobile Difference doesn't work to all apps. Step 14: The Analytics section lets you view how the daily traffic of your apps perform in addition to where it is coming from. The graphs presented in this section include Overview, Facebook Views, Web Views, Mobile Views, Microsite Views, Shares and Likes. 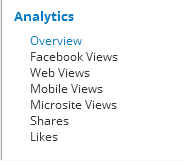 The graphs comprising Facebook Views, Web Views, Mobile Views and Microsite Views look like this one. The Total Shares and Likes of the app looks like this when displayed to the screen. Step 15: Don't forget to save your work. Click the "Save" button found at the bottom-right corner of the page. Step 16: The page will forward you to the My Apps section after saving the settings. You will view in this section all the apps you have created for your TabSite Plan. You can add another app, test it and publish it in proportion to your Plan features. Step 17: Click "Publish" to go through the publishing process of your Twitter app to your own website, blog or other social media platforms.